I always aim for perfection whenever I do something and when it comes to dessert presentation, I take it seriously. It's not always possible though as there are people around me who don't share the same principle as me. 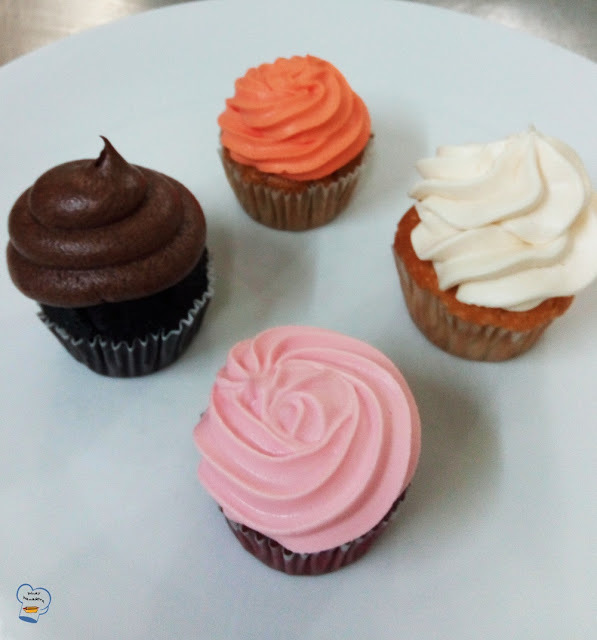 Take these cupcakes for example. I took a lot of effort in preparing these but a little mistake ruined the overall look of these beautiful creations. I made these for a hen party. 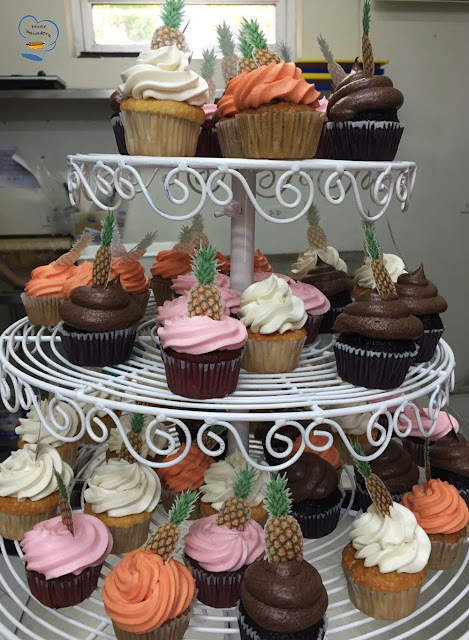 The bride-to-be asked that the cupcakes be served later in the night . I'd be long gone before the party started so I left them in the care of the sous chef. Although I gave specific instructions before leaving, it was not presented the way it should be. I got disappointed the moment I saw the picture my colleague has forwarded. 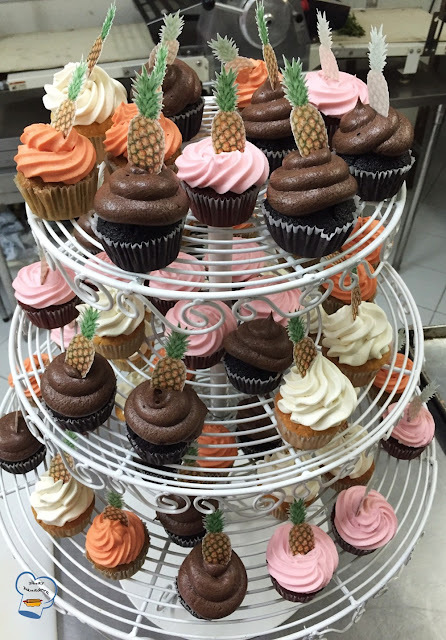 Maybe it's just me expecting too much from those who helped arrange the cupcakes in the stand . Anyway, what's done is done. The party went well and there were no complaints. That's what all that mattered. 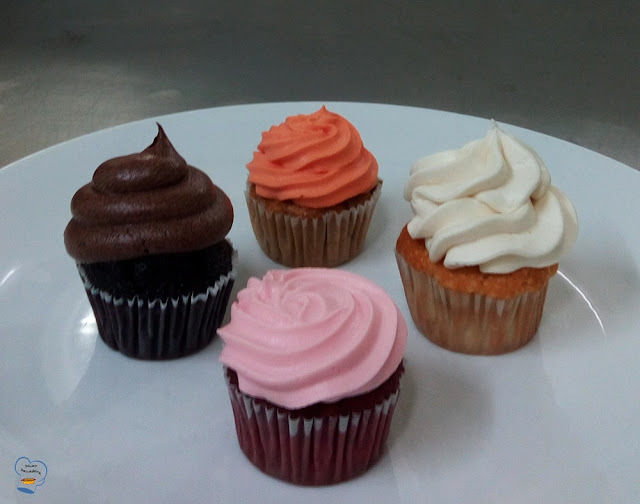 Clockwise: Carrot cake with cream cheese frosting, vanilla cupcake with vanilla buttercream, red velvet cupcake with cream cheese frosting and chocolate cupcake with chocolate buttercream.